How Do YOU Experience Pain? Pain is a distressing experience associated with actual or potential tissue damage with sensory, emotional, cognitive, and social components (Williams & Craig, 2016). Positive pain refers to non-injury pain that is exertional and related to reappraisal, whereas, negative pain is injury and damage-causing pain that is associated with catastrophizing. Catastrophisizing include feelings of hopelessness, inability to cope with situation, or ruminating on pain and injury, all of which may lead to avoidance behaviours that increase the risk of injury. Negative pain is potentially correlated to neuromuscular deficits such as Achilles tendinopathy which reduces muscular endurance or meniscal tears which lower muscle activation. It can delay or prevent return to a sport or possibly lead to chronic pain development (McDougall, 2017). 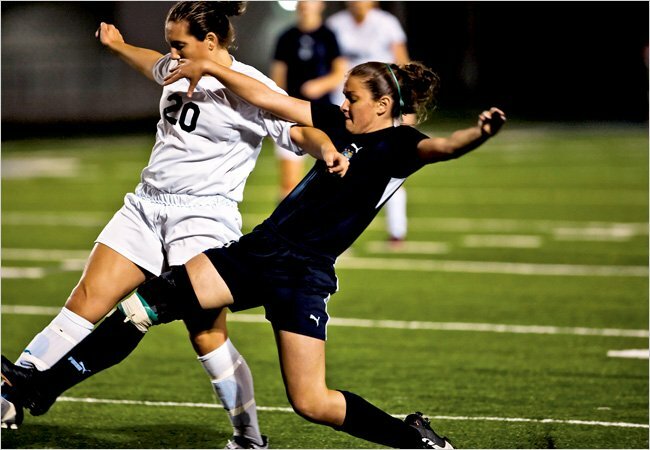 Elite athletes are able to withstand higher levels of pain and make better use of pain in performing well in their sport. What can you do to better cope with pain? What an interesting concept Pain is! According to the International Association for the Study of pain, pain is described as “an unpleasant sensory and emotional experience associated with actual or potential tissue damage, or described in terms of such damage”. The first part regarding actual damage makes sense to most, however the second part of this definition leaves something to be desired. You might be thinking right now, are you telling me that I can have pain without having actual tissue damage? Absolutely, and this is what makes pain such a fascinating thing. To better explain, its best to take a step backwards and explain why pain exists and what purpose it serves for us as busy, moving, functioning human beings. We have learned a lot about pain in the last 20 years and treatment of pain has really changed now that we understand more. At its roots, pain is a fantastic protective mechanism! 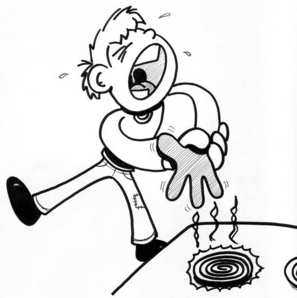 Take for example, burning your finger on a hot stove element: if your finger touches the element, the receptors in your skin immediately send a danger signal to your brain (important note: NONE of our body’s tissues have pain receptors, only ones to send danger signals). Once this DANGER signal gets to your brain – which thankfully takes milliseconds – based on previous experience with hot stoves, likely having burned your fingers or other body parts before, and awareness of the situation, your brain will interpret this as a real danger and quickly send a PAIN signal to the finger. As a result of this PAIN signal reaching your finger, your brain reacts quickly to the rescue and you pull you finger away and run it under cold water to protect it and help it heal! Naturally, it’s a perfect protective mechanism. 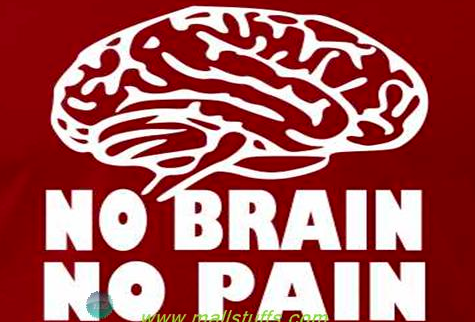 As you can see from this example above, PAIN IS EXCLUSIVELY CREATED BY THE BRAIN. Does this mean that all pain is just “in your head”? No, all pain is real but it does mean that because its created by the brain, there are lots of factors that can influence this pain system. Some of these factors include stress, anxiety, emotions, beliefs around pain, expectations, fear, and activity levels. These all contribute to the sensitivity of ones pain experience – some will increase it (e.g. stress, anxiety, fear, negative expectations) and some will decrease it (good activity level, low stress, positive beliefs and expectations). This is why its important to talk to a health professional to figure out what may be contributing to your pain as research has shown that pain education is one of the most effective management tools. Lets re-visit the idea of having pain with no actual tissue damage. There is an emerging concept in pain science called the “nocebo” effect which tells us that symptoms like pain and illness can emerge from simply believing or expecting that we have been exposed to painful stimuli or potential illnesses! For example, in drug trials, a certain percentage of participants are given a fake drug (i.e. sugar pills) and told that they are taking the real medication and that there are some potential side effects. What we see with these trials is some of the participants report these side effects from a drug that they ARE NOT EVEN TAKING! (Source: ‪nocebo effect). These participants think they are on the real medication and therefore think themselves into the side effects. Similarly, in research around perception of pain, subjects reported amplified pain ratings even with harmless stimuli when they were told to expect a painful stimulus! (Moseley & Arntz 2007). As you can see, pain can be a tricky thing and because of this, it’s important to tackle your individual pain with a tailored approach. It is always easy and tempting to consult Dr. Google or ask your friends or family members that have had similar aches and pains but it is important to recognize that no two injuries or pains will be quite the same. 3. Education around why you are in pain one of the most effective management tools! Jeff Jukes is a registered physiotherapist at INSYNC Physiotherapy in Vancouver. He has lots of experience working with chronic pain populations and therefore has done extra training and individual research to effectively help with all kinds of pain. Jeff’s treatments are multi-modal in nature and include hands on treatment, pain education, acupuncture, Intramuscular stimulation (IMS), and therapeutic exercises. Talk to Jeff regarding any type of injury or pain!